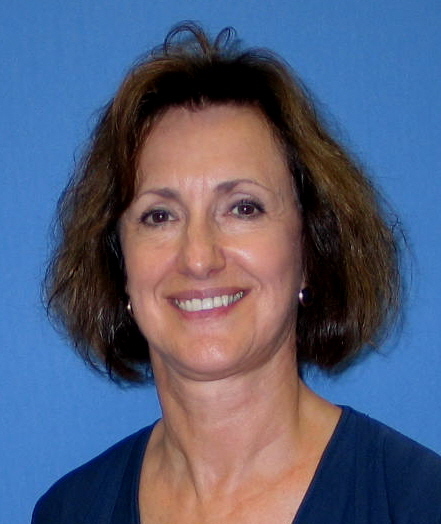 Linda Lavender is the Superintendent of Lexington School District 4, located in the Midlands region of South Carolina. Dr. Lavender is leading an effort to innovate her district’s approach to education. Lexington School District 4 is in the process of applying for acceptance to TransformSC. The following schools in District 4 have already been accepted to the TransformSC network: Lexington Four Early Childhood Center, Sandhills Primary School, Sandhills Elementary School, Sandhills Middle School, Swansea High School and Frances Mack Intermediate School. Innovation has become a buzzword as technology continues to revolutionize modern society. The topic has also made its way to our country’s public education system in recent decades. So, what do educators mean when we say “innovation”? As we grapple with how to integrate technology into a system of education that was created in the 20th century, educators are working to answer this every day. Innovation has traditionally been defined as “the introduction of something new; a new idea, method, or device; novelty,” but the concept has evolved. Innovation isn’t just a new idea or device anymore, but rather, a complete transformation of the system at every level. We’ve recognized that the traditional education model wasn’t working anymore, but we also need to acknowledge that leadership will have the greatest impact on creating the new culture of innovation necessary for transformation. Leaders shape culture, and continuous innovation is needed to nurture unconventional thinking, reasoning, implementation and reflection. Developing an innovative culture requires leadership to engage faculty in the decision-making process. Every teacher must own his or her journey to a personalized delivery method. There is no one right way to do this, but exploring the development of professional learning communities is a great place to start. The Profile of the South Carolina Graduate is another great tool to initiate conversations on innovation at every level, from early childhood education up to high school. There needs to be open dialogue around what is needed to achieve the transformation needed to produce a 21st century workforce. To have these conversations, we must embrace the fact that the world has changed, and our educational system must transform to meet new challenges for the workforce. Students must be able to use the knowledge they learn, as opposed to just regurgitating it; to demonstrate the skills and characteristics identified by the Profile of the S.C. Graduate. To achieve this, classroom practices must change for both teachers and students. Learning must be personalized for each student so that he or she actively owns his or her learning. Students need to have a voice in what and how they learn, as well as how to demonstrate their learning. This level of student engagement is necessary to develop individual passions for learning. This culture of innovation must evolve into the day-to-day way of life for leaders and educators. Faculty members will transform at varying rates, and leaders must be supportive in each teacher’s journey to evolve. Leaders must also be knowledgeable about skills students need to master and instruction methods that will create a supportive culture for students and faculty alike. Stephen Shapiro defines innovation as “the organization’s ability to adapt and evolve repeatedly and rapidly.” This definition is at the heart of a continuous culture of innovation. Students must drive their own learning paths, and teachers must provide guidance so that students are immersed in learning content as they learn to solve problems, construct projects, develop presentations and create new knowledge. Educators have always aspired to get ‘better’ at delivering content through continuous improvement. But today’s economy requires a different frame of mind for individuals who are teachers and leaders. It is about building a ‘continuous culture of innovation’ where innovation is the natural day-to-day way of operating a school or district. So, what does innovation mean for educators? It means leadership – accepting the challenge to think differently about education so our students can succeed in the 21st century.